Vancouver is lauded for its greenery. Usually, it’s the forested mountains and parks that get the accolades but there’s another type of green that is worth a visit: the scenic golf courses in and around Vancouver. While Stanley Park’s Pitch and Putt is enough of a golfing experience for some visitors, if you’re looking for a more serious stretch on the golf course, here are 10 of the best in and around Vancouver. Located in the picturesque Pacific Spirit Regional Park in the University of British Columbia (UBC), the public University Golf Club is a storied establishment that has been here since 1929. Traditional in style, the course features long, narrow fairways that are bordered by towering old growth forest. Nine minute tee times give players the chance to enjoy the scenic course and although it’s only a short drive from downtown Vancouver, it feels like a country course. Power carts are available but the level terrain of the 18-hole par 72 course makes it suitable for all levels. Tee time bookings can be made up to six months in advance. Named after the original golf course on this site, Westward Ho! is a pub that is open to golfers (and non-golfers) to fuel up before a game or relax afterward. Run by the Vancouver Park Board, Fraserview Golf Course is a well-maintained traditional-style course with some topographical challenges. Set alongside the Fraser River, the course’s tree-lined fairways are close to the city but the 18 holes and 6,692 yards of greenery feel like an old country course. PGA of Canada pros are on-hand to help golfers with their game and the course is also home to a practice putting green and driving range. Visit the Clubhouse to enjoy a drink on the licensed patio, which overlooks the scenic course. Also run by the Vancouver Park Board, the public Langara Golf Course is a traditional-style course in southern Vancouver. Originally built in 1926 by the Canadian Pacific Railway, the course was later redesigned by Canadian architect Thomas McBroom, who also designed Fraserview. Whilst the course is a challenging par 71 across 18 holes (due to rolling greens and narrow fairways), the tree-lined course is easy to walk, which makes it a popular choice for all golfers of all levels. Vancouver Park Board is responsible for the upkeep of the public McCleery Golf Course, which was designed by Canadian architect Ted Baker to be a "target-style" golf challenge with narrow fairways, old growth trees, and lots of water hazards, that appeal to accurate golfers that enjoy a tight game. The newly renovated driving range also offers a chance for golfers to work on their accuracy before attempting the challenging course. 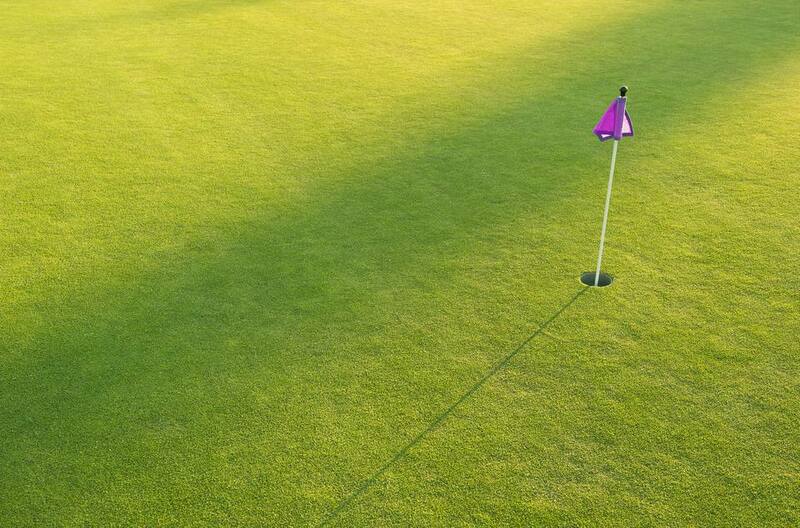 Close to Vancouver, in Pitt Meadows, Meadow Gardens Golf Course is a members-only course that was established in 1968. Playing from 5519 yards to 7041 yards on four sets of tees, the beautifully manicured course is set in a stunning location with a backdrop of mountains and a walkable green. Golf course architect Les Furber designed the course to challenge golfers with features such as the 18th hole, which is made up of three islands, including an island green on the par five hole. Grab a snack at the Wedge Bar & Grill or enjoy fine dining and golf course views at the upscale Loft Lounge & Restaurant. Ideal for visitors, public Morgan Creek Golf Course in Surrey, near Vancouver and New Westminster, offers golf club rental and visitor packages. Designed by famed architect Thomas McBroom, the rolling fairways and water hazards make it a challenging course. Part of the Morgan Creek residential community, the course is not as picturesque as some of the other local courses but it provides a private course experience that is open to the public. Dine at Morgan’s Restaurant and Wine Bar for fairway views and fine dining. This spectacular public course in North Vancouver is renowned for its amazing views and challenging uphill sections. The mix of holes means that golfers need to pay attention to their game, especially on the front nine, which features the signature par five fourth hole — a challenging uphill hole, measuring 551 yards from the tips and requiring a straight shot to reach the green in two. Four sets of tees on each hole allow for every level and scenic downhill stretches make it a popular course for visitors. Designed by Les Furber, a specialist in mountainside courses, the course opened in 1998 and is operated by the District of North Vancouver. Amenities include a bar and grill for refreshments. Situated in Langley, around a 45-minute drive from Vancouver, Redwoods Golf Course has an incredible backdrop of the coastal mountains. Tree-lined fairways are split into two levels to provide scenic views for all golfers as they tackle the 18 holes. Challenging holes include a blind hole, unusual for a public course, and many of the holes make the most of natural features. Listen out for birds while you are there — the course is home to over 60 varieties. An exclusive members-only resort that features two championship golf courses, designed by PGA legend Lee Trevino, and offering challenges for all levels. Inspired by the scenic setting, the courses are designed around natural features such as streams, lakes and the backdrop of the coastal mountains. Play the 18-hole links course or 18-hole resort terrain for two different experiences — the attached Country Club also has a 65,000 square-foot clubhouse for members to enjoy. Set on Eagle Mountain, high above Coquitlam, Westwood Plateau is only a 45-minute drive from downtown Vancouver. Designer Michael Hurdzan’s par 72, 6770-yard course incorporates large Douglas Firs, granite rock faces, and rugged ravines into an 18-hole wonder. Power carts feature GPS terminals that give flyovers, tips, and yardage on every hole. Fuel up in the 35,000 sq ft wood and beam west coast inspired clubhouse before tackling the 12-hole executive Course, which is the only one in British Columbia and one of only a few in Canada. The par 40 course has eight par three holes and four par fours with elevation changes that give players sweeping views over the lower Fraser Valley.